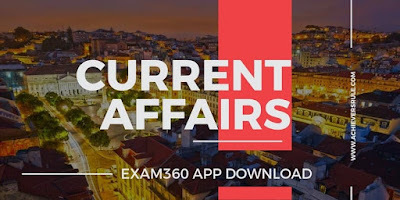 Current Affairs Updates - 11th May 2018 has some important headlines such as The 2018 World Robot Conference, Vice President Venkaiah Naidu and President of Panama signed two agreements, Ravi Shankar Prasad launches website of Digital India Internship Scheme and other similar news. All other news have been placed under different sections of National, International, Schemes, Banking and Events and Summits. Aspirants should go through each of these sections in details to have a better understanding of the topic. We hope aspirants would highly benefit from our website. You may also like the Static GK and Note Down Points along with the Daily Current Affairs Quiz. The Fifteenth Finance Commission constituted an advisory council to advise and assist them on any issue or subject related to the Terms of Reference (ToR) of the Commission. This comes more than a month after objections were raised by several state finance ministers to the ToR prescribed by the Commission for allocation of funds to states, and usage of 2011 census data. With business sentiment at the "weakest" in four years, India slipped to the 6th position globally in the business optimism index for the first quarter of this year, says a survey whereas Austria tops. In a major step towards realising the centre's smart city mission (SCM), the Madhya Pradesh government launched the country's first Integrated Control and Command Centre (ICCC) for all seven smart cities of the state in Bhopal. The Indian telecom regulator on Tuesday released the draft amendment of telecommunication interconnection where it has set time-frame for provisioning of ports for initial interconnection and augmentation to be increased to a maximum 42 working days. External Affairs Minister Sushma Swaraj called on Myanmar President U Win Myint soon after she arrived here for talks with the country's top leadership on key bilateral and regional issues, including the Rohingya refugee crisis. Japanese PM Shinzo Abe said his country would normalise ties with North Korea if the nuclear matter and that of the abduction of 13 citizens were resolved. China successfully launched a hyperspectral imaging satellite, Gaofen-5, for comprehensive observation of the atmosphere, including air pollution which is one of the country's major problems. Prasad launched the website of Digital India Internship Scheme in New Delhi. Under this scheme, 25 interns will be inducted for a period of three months. Briefing media, the minister said, these interns will be paid a stipend of 10 thousand rupees per month. Mr Prasad complimented NIC who will take 10 interns separately. Smriti Irani also said that soon India will have over 90 crore internet users and the statistics warrant the importance of having proper rules, ethics and laws in place to ensure there is no monopoly of one dominant player in the industry. The event was held at Vivanta by Taj, Dwarka in Delhi from April 26 to May 1.